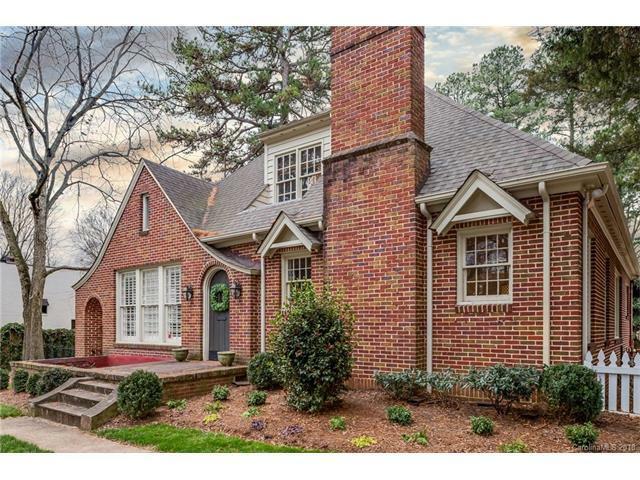 Charming, updated 1933 American Tudor in desirable Myers Park! Updated kitchen with custom cabinets, large island, granite countertops, and stainless appliances. Arched doorways, original hardwood floors, plantation shutters, crown molding, updated main bath, huge master with oversized walk-in closet plus additional attic storage. Spacious mud/laundry room with ample storage. Bonus room perfect for office or playroom. Beautifully landscaped, fully fenced yard with paver patio and gas fire pit. Minutes to Uptown and Southpark. Walkable location and great schools!! !